Disney's Animal Kingdom is a great park for families. There are so many different attractions here that appeal to all ages, both young and old. Today, I thought we'd take a look at the best 5 attractions I think the whole family would certainly enjoy. 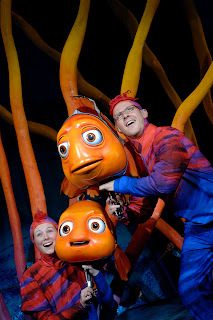 Finding Nemo: The Musical- This show is seriously one of the best shows I've seen at Disney, period. At first, you don't think it can work. I mean, Finding Nemo wasn't even a musical! But some very creative minds came together to create some amazing music to go along with an incredibly touching story. My favorite song? Go With The Flow. It's so toe tapping and whenever it comes on Magical Mouse Radio, I sing along loudly. As if the songs weren't cool enough...this show prominently features large puppets, but you can see the performers on stage with them. A lot of people would find that distracting, but after a few minutes of watching the show, you forget the performers are even there. Kilimanjaro Safaris- Have you ever wondered what it was like to go on an African safari? Well, with this Disney attraction, it's the closest you'll get to it without leaving the country. Here, on this attraction, you come face to face with giraffes, Thompson's Gazelles (Tommies), lions, and many other animals that roam the land of Africa. The attraction takes you through to see many different animals, some of which are even allowed to roam freely enough that they can even come up to your safari vehicle. This attraction appeals to all, especially those animal lovers in your family. Maharajah Jungle Trek/Pangani Forest Exploration Trail- These trails are some of the coolest in any Disney park. 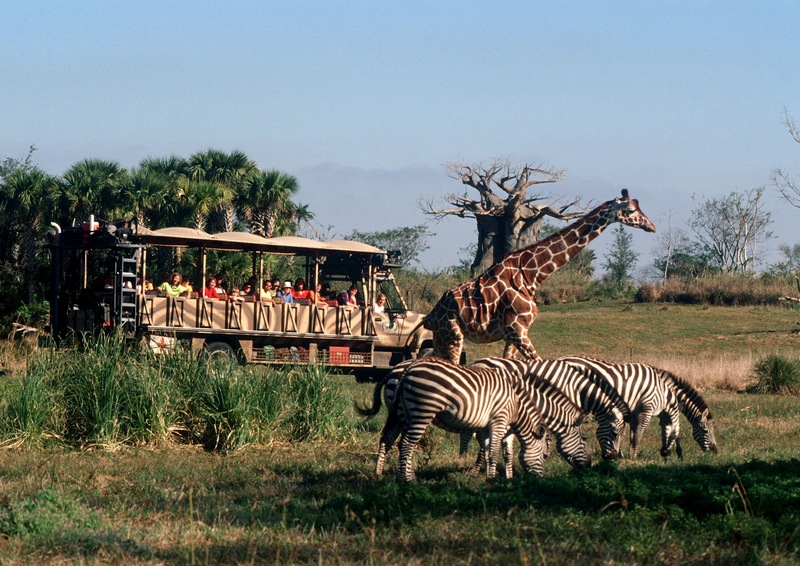 If you thought the Kilimanjaro Safaris was cool with your ability to come face to face with animals, you'll love these areas! In the Maharajah Jungle Trek, you get to come face to face with some of the fiercest cats imaginable. These tigers act just like your cat, but on a MUCH larger scale. In addition, you'll come in contact with Komodo dragons AND even bats. (Yes, I said bats. But you can bypass this section if you are too afraid to go in the same area as the bats are in.) On the Pangani Forest Exploration Trail, you'll be able to see hippos in an underwater viewing area. It's so cool to get to see them swim by, they are so graceful for their size. In addition, you'll see one of my favorite animals, gorillas. When on these trails, make sure to talk to the Cast Members that staff the area. They are full of great information about the animals that can be found along the way. 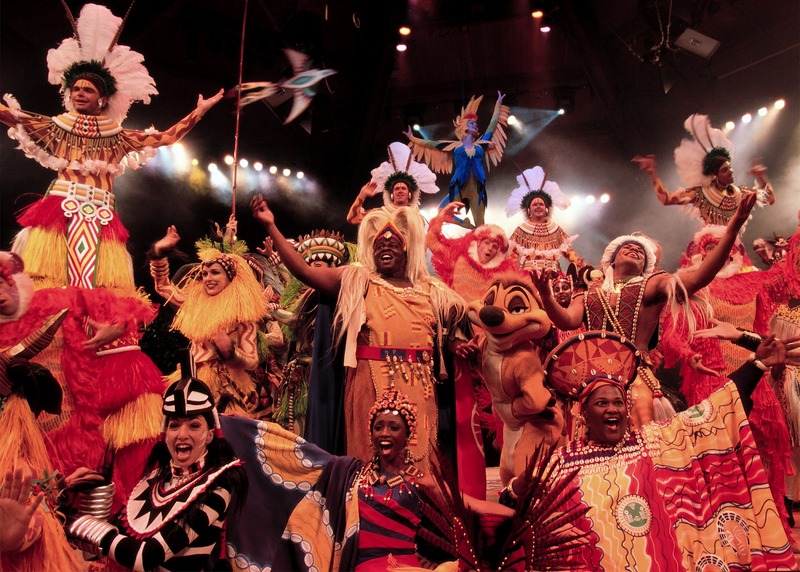 Festival of the Lion King- Do you like amazing singing? Do you like acrobatics? Do you like amazing shows in general? Then this is the show for you. The singers here are absolutely amazing. You'll be floored at how great they are. This show also has such fabulous stagemanship. There really isn't much I can say about it. If you haven't seen this one yet, go now! You will not regret it! It's Tough To Be A Bug- Ok...fair warning...this attraction can be scary to some people...so fair warning. Little kids and those who have an extreme fear of bugs, this may not be the appropriate attraction for them. But, if you can get around those small things, this attraction is one of the best 3D shows in all of WDW. It has a good story and the effects here are simply remarkable. So, on your next trip to Disney's Animal Kingdom, make sure to check out these attractions. The whole family will love getting to bond over the fun you'll have experiencing this park. What are your favorite Family Friendly Attractions at Disney's Animal Kingdom? Make sure to share on our Facebook page. Also, this week is Disney's Animal Kingdom's Birthday...so Happy Birthday DAK!